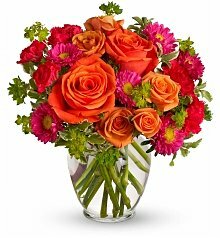 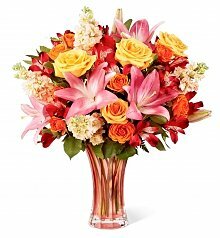 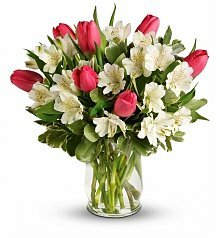 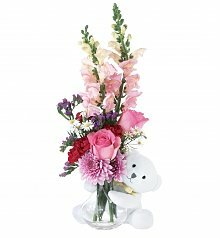 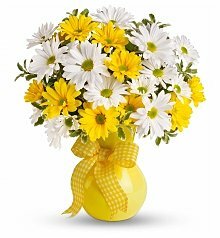 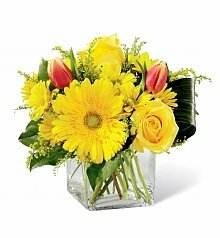 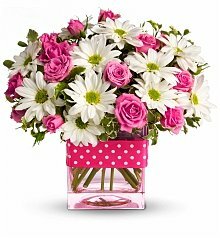 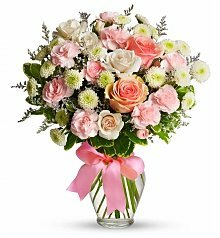 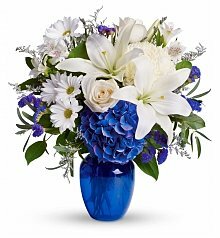 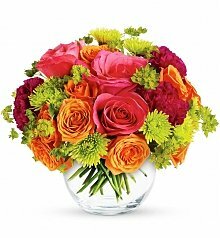 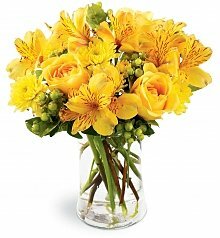 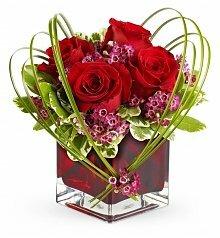 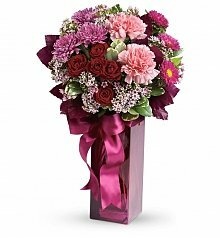 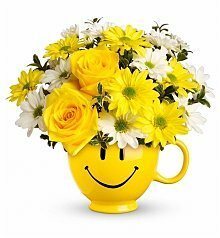 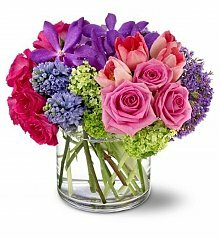 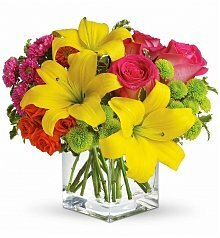 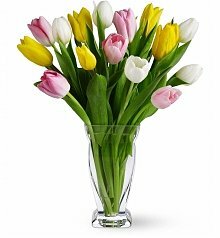 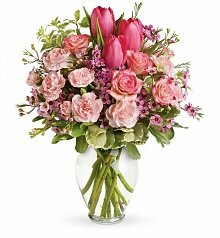 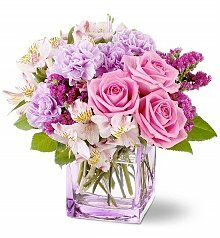 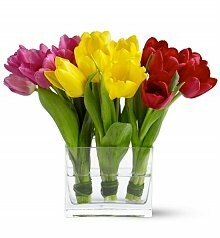 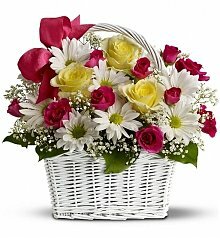 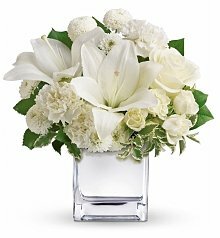 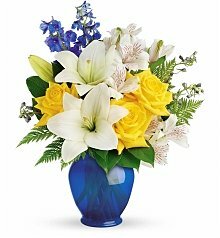 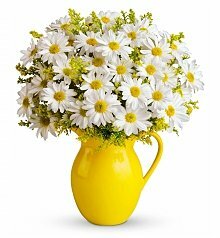 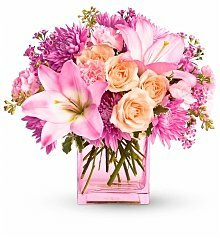 Same day flower delivery in Dallas, TX available when ordered by 2pm CST. 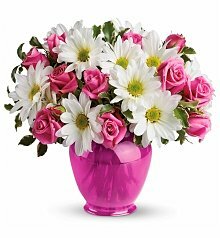 It was right down to the wire when I realized what day it was - the 20th - that meant tomorrow was Aunt Lucy’s birthday. 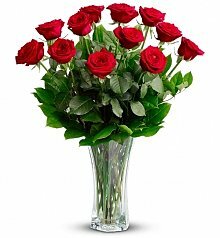 I couldn’t believe I had forgotten. 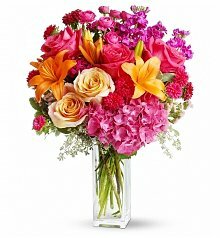 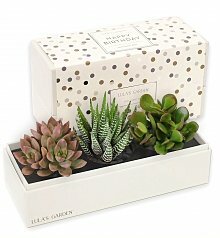 I was pretty panicked, until I came across GiftTree’s Dallas floral delivery program. 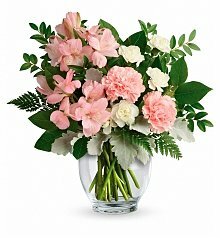 I was able to deliver flowers to dallas in just one day’s time, and GiftTree’s selection was perfect. 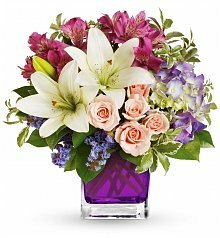 Aunt Lucy’s favorite color is purple, and boy did I find a beautiful purple arrangement! 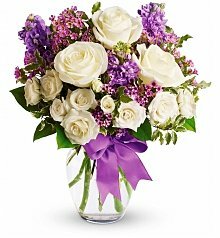 It arrived at Aunt Lucy’s house in Dallas the next afternoon, and I got a call from her exclaiming how beautiful the big purple blossoms and lush greenery were. 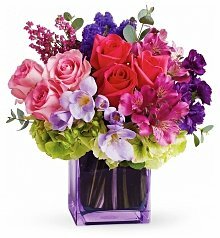 To top it all off, it arrived in a glass cube vase that was also purple! 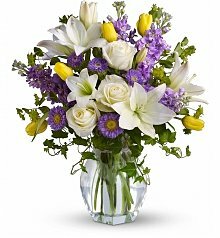 My flower delivery to Dallas for Aunt Lucy’s birthday looked like I had been planning it all along. 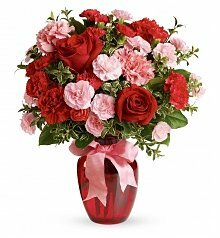 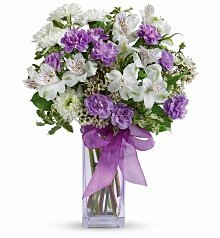 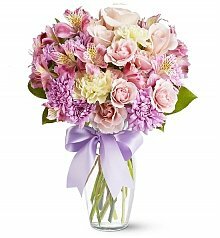 From one end of Dallas to the other - Irving to Mesquite - GiftTree’s Dallas Florists are standing at the ready, prepared to create and deliver a beautiful bouquet, just for you. 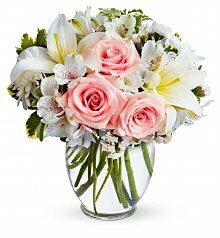 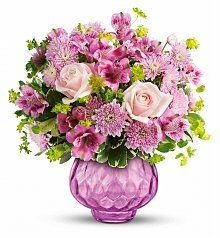 Our selection of ravishing roses, elegant lilies and tender tulips are all artfully arranged by hand, and delivered on time in gleaming glass keepsake vases. 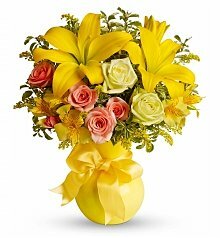 Be it a birthday, an anniversary, a job promotion or anything in between, trust GiftTree, and send flowers to Dallas with ease.